As I mentioned in earlier blog posts, 2019 is going to be a big PIVOT year for me and I couldn’t be any more excited. The last two years I’ve felt rather like I’ve been hiding under my bed, afraid to stick my head out and see what is happening in the world. Chicken Little in the worst way. So I’ve decided to change my attitude this year, to trust God in faith and step forward with determination and confidence. 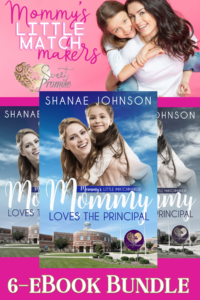 One of the ways I’m going to do this (in addition to continuing to traditionally publish books with Harlequin Love Inspired and self-publish some of my own) is to write a couple of books for a new small press, Sweet Promise Press. The first book is coming out in March as part of the Mommy’s Little Matchmakers series of Romantic Comedies. I don’t know that I’m particularly funny in real life, but my characters regularly crack me up, sometimes to the point where I’m quite literally laughing out loud. Yes—I’m guessing that looks pretty odd from a bystander’s viewpoint when I suddenly burst out laughing as I type. This six-book, Sweet Romantic Comedy series features single mothers and their precocious children who take it upon their little selves to help their mommy find love. Just like these unsuspecting bachelors and devoted moms, you won’t be able to help falling for these kids’ creative capers, amusing antics, and hilarious hijinks. Sounds fantastic, right? I’m so excited to be a part of this launch series. And as it happens, I finally caught the first glimpse of my cover this week. I can’t say how excited I was to see the talented cover artist Mallory Rock used the exact picture I wanted of my widowed heroine Ashley and the matchmaker—her wheelchair-bound eight-year-old daughter Gwennie. When they bring their new dalmatian puppy in to be seen by shy veterinarian Dr. Luke Bryant, Gwennie meets Dr. Luke’s receptionist mother and the two immediately take to one another, collaborating to make Ashley and Luke aware of the attraction they both adamantly refuse to acknowledge. 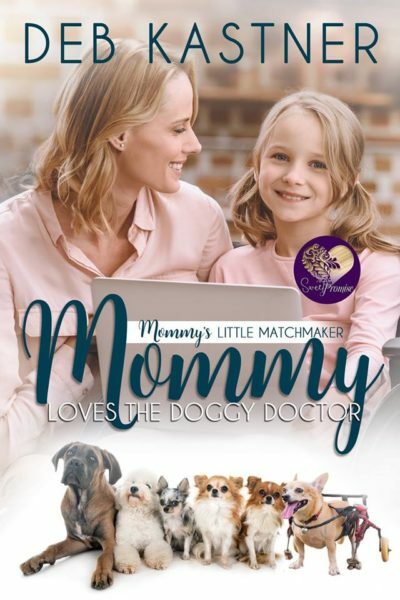 It will take an old woman, a mischievous little girl and a rambunctious puppy or two to get Ashley to acknowledge what Gwennie has known all along—Mommy Loves the Doggy Doctor! I always enjoy and appreciate a touch of humor in the stories I read. So do I, Mary. And I think laughing also opens up the emotional capacity of the reader to then experience all the other feelings. Hi Deb, your new series sounds fun:) I appreciate some humour in what I read- kids as matchmakers sounds like lots of potential for fun. Kids as matchmakers is always fun, and I added a Granny-type for extra oomph! Hi Deb! Thanks for sharing your writing goals for 2019 and new adventure with Sweet Promise Press. Their covers are attractive and catch the eye. Enjoy reading stories with humor, children and dogs. Best wishes for 2019. Thank you, Renate. I really like the SPP covers, as well. Mallory Rock..well…ROCKS! Congratulations! Sounds like a fun project to be part of! Thanks, Elizabeth. I’m thrilled to have been chosen to be part of the debut of the series. I just love humor in a book! And children…sounds like my kind of stories!! It will be available in March. I’ll remind everyone!! Your new series sounds wonderful. I always enjoy humor in writing. I tried to click on the link for the bundle, and it doesn’t seem to be working… Sounds like a fun set. Hi Margaret. You can go ahead and try again as I updated it with a link. Sorry for the hassle! 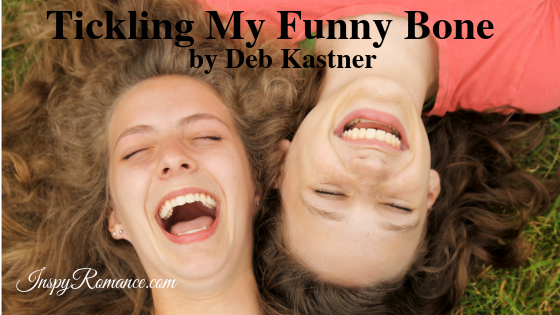 Deb, I’ve always admired writers who can put humor into their stories. I think it takes a special talent. My stories tend to be angsty and emotional, not funny. Good for you on tackling something new! Sounds like fun. In the past when reading romantic comedies, my kids have said I couldn’t bring a book in public because I was laughing too much! I enjoy reading romantic comedies! Happy New Year! I love romantic comedies! We can always use a good laugh. 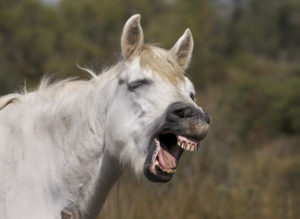 LOL Hilarious picture of the horse!!! You made me smile!